I feel like I haven’t written a beauty post in forever, so it’s great to finally be able to share some of the new fragrances that have made their way into my collection recently. I’ve gone from owning one perfume at a time to having a bit of a ridiculous collection, which is never a bad thing. It’s fun to be able to switch up my fragrance at any time, particularly if I have a special event to attend. I love my Chanel Coco Mademoiselle but it’s even better now I get to save it for super special occasions. With Christmas approaching, I’ve put together an edit of some of my favourite new scents that would make perfect presents for loved ones. We’ve only just entered November, but it never hurts to be organised! I have to start by saying that Giorgio Armani Si (£53.60, 50ml) has become one of the perfumes I reach for nearly every day of the week. Its main notes are vanilla, patchouli, cassis and rose and it’s incredibly long-lasting on the skin, meaning you will smell amazing from day to night. If you like sweet smelling perfumes but don’t want anything overly fruity, this is the one for you. It’s the grown up perfume you’ve been waiting to upgrade to. 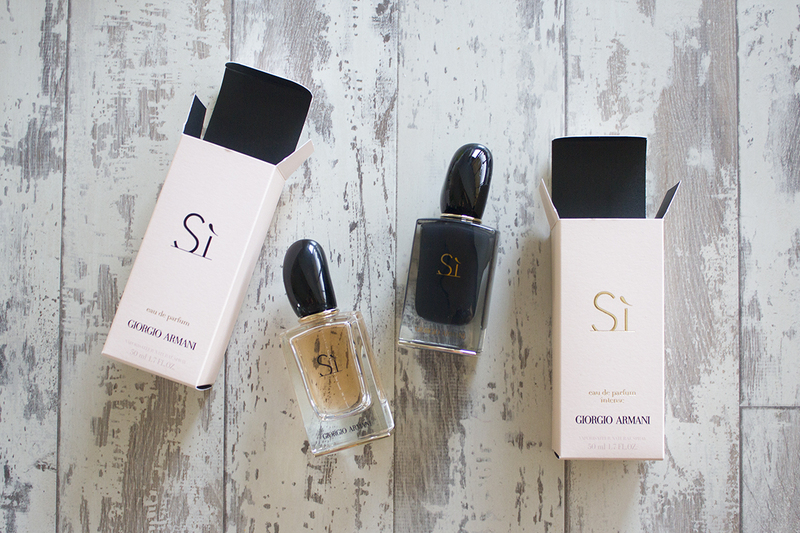 Released a year later to the original Si perfume, the Giorgio Armani Si Intense (£57.60, 50ml) is a deeper and sexier fragrance with notes of blackcurrant, vanilla and mandarin. It’s a great evening perfume that doesn’t smell too musky or overpowering. Fragrance doesn’t have to be serious all of the time, which is why I love the Harajuku Lovers Love Pop Electric (£26.60, 50ml) for an everyday, fun & girly scent. It contains notes of apple, pear and jasmine, making it the perfect fruity and floral fragrance. Gift this one to your sassy teenage sister, they will absolutely love the quirky design and sweet scent! Next up is the DKNY Be Desired (£37.00, 30ml), which was only released this year as a permanent addition to DKNY’s popular Be Delicious collection. The first thing I noticed with this fragrance is that it’s not as super sweet as the original, with notes of grapefruit, orange & violet and woody base notes. A perfectly fresh fragrance for everyday use. 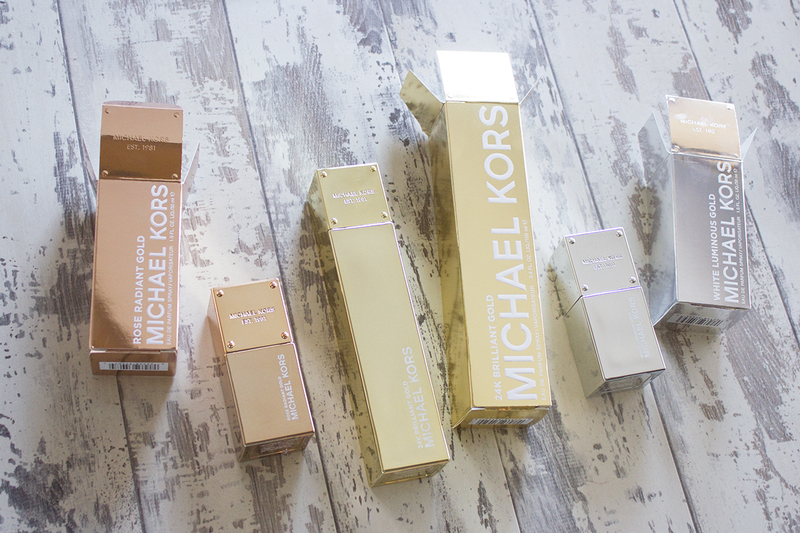 If you’re after a showstopper perfume for a glamorous girl, then look no further than the new Michael Kors fragrance collection. Not only do they each have their own unique fragrance, the bottles and packaging are super luxurious. The smaller 30ml bottles are great for travelling, whereas the 100ml bottles sit centre stage on your dressing table. Rose gold is undoubtedly the metal of the moment, which makes the Michael Kors Rose Radiant Gold (£39.00, 30ml) a great gift for the style-conscious girl. It’s a spicy floral scent with musk base notes, making it a great day to night fragrance to take you from the office to drinks with the girls. My favourite of this trio has to be the Michael Kors 24K Brilliant Gold (£79.00, 100ml) with top notes of orange, floral middle notes and woody base notes. It’s a classic fragrance that will suit all ages, but I love this one so much that I think it’s more of ‘to me, love me’ kind of gift! 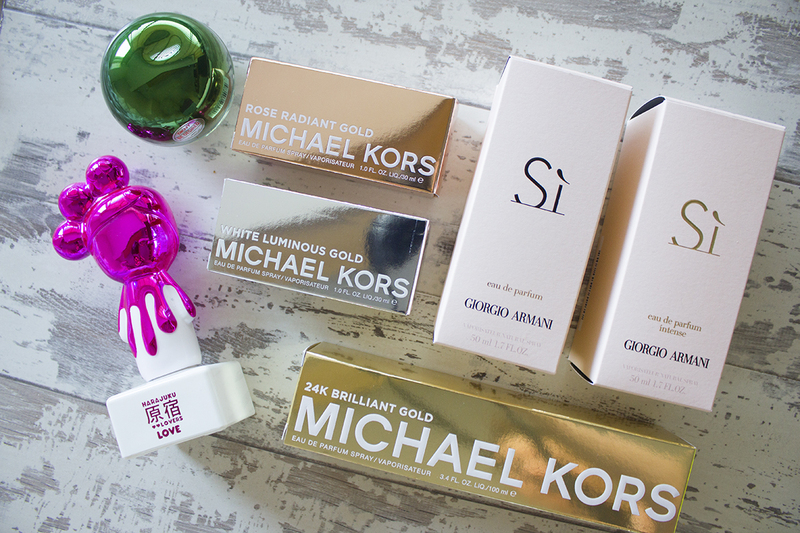 Lastly, there’s the silver-toned Michael Kors White Luminous Gold (£39.00, 30ml). It’s described as an Oriental floral fragrance and although it’s not to my personal preferences, this would make the ideal gift for a glam mum or grandma. With its notes of jasmine, pear and amber, this is a vintage but sweet scent that they would absolutely love. What are your favourite fragrances for Autumn/Winter?